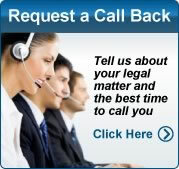 (b) Legaladvice.com.au™ may collect web site visitors' contact information which they feel comfortable to provide such as e-mail addresses and any other relevant information which is given voluntarily. Unless you (the "User") object, this information may be used to send information which may be useful to you. (c) Any information you provide Legaladvice.com.au will be kept in strict confidence and you give Legaladvice.com.au™ authority to use that information in accordance with its intended purpose. Personal information will not be used for any purpose which a reasonable person in your position would not expect. By submitting any personal information through your use of this website including your use of any online (enquiry) forms found on this website, you are consenting to your personal information being disclosed to us and potentially other appropriate third parties, for the purposes of responding to your request. • It is necessary to provide you with the service which you have requested. (e) Legaladvice.com.au™ recognise the trust you place in us when you give us personal information. In order to operate the website and deliver the service you have requested we will normally pass your personal information and enquiry onto a third party who will also hold such information in strict confidence and will only use such information in accordance with its intended purpose. (f) Legaladvice.com.au™ cannot guarantee the security of transmission of personal information which you provide through use of the web site. Legaladvice.com.au™ will not be held responsible for events arising from unauthorised access of your personal information. We take all reasonable steps to ensure the security of the personal information we hold from unauthorised access, modification or disclosure. Your personal information is stored on secure servers and we maintain computer and network security; for example, firewalls (security measures for the Internet) and other security systems such as usernames and passwords are used to control and restrict access to our computer system. Paper records are stored in locked filing cabinets in secure areas. (g) This site contains links to other sites. Legaladvice.com.au™ is not responsible for the privacy practices or the content of such websites. (h) This site provides links to other user-generated content sites so please remember that any information that is disclosed in these areas becomes public information and you should exercise caution when deciding to disclose your personal information. (i) When submitting your legal enquiry form through your use of this website, you acknowledge that the information (including contact details) that you provide will be registered under our User Registry which is saved and stored in a secure location in our database. You further acknowledge and accept that your contact details can and may be used by Legal-Advice Pty Limited, it's heirs, successors and assigns, for the purpose of providing you with news, updates and other information relating to this website (through both non-electronic and electronic communication such as emails, SMS's and the like) as well as marketing material in relation to various legal services and legal products and not for any other products or services not of a legal nature. (j) Legaladvice.com.au is not responsible for your use of linked websites or the content contained therein.